Unique, Excellent Investment! 2 homes on 1 parcel. CAPE unit 1 has 2brs, loft area, laundry room, patio. 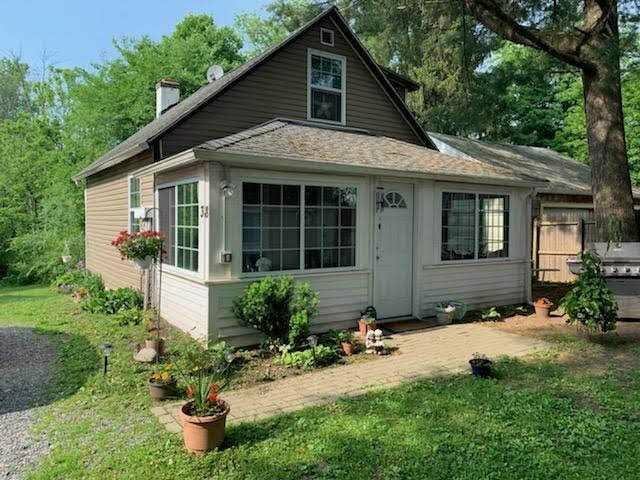 COTTAGE has Enclosed summer room, 1 loft br, full basement. Recently renovated and all mechanics too. New siding and windows etc. Live in rent out other or great in-law living. Income producing. Fish in the creek, private setting, yet close to town. Recently updated and painted. Mechanics updated or new. Turn key. A TRUE HID-A WAY. Ex.Investment!! Basement Desc: Full Basement In Cottage. Level 3 Desc: Cottage 2: Lr, Kit, Bth, Loft Br, Sunroom.